If you start following us recently, you may not know yet, that every Friday we analyze what we have done for Magento Connect and Prestashop Addons and put forward modules and extensions that we released during the outgoing week. 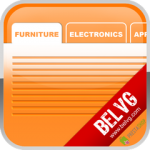 If you are our regular reader – discover BelVG products earlier than your rivals will do. We upgraded Magento Product Countdown to 1.6.0 version, revealed in significant code improvements. In addition, we made it available for Enterprise EE! Prestashop merchants have always suffered from losing clients, who left because they mistyped words in the search field. It’s no more a problem with Prestashop Search Autocorrection. Discussing Prestashop tips in our blog, readers asked us a lot about adding extra tabs to the frontend product pages. And our developers met their request halfway. This is how Prestashop Product Tabs module emerged.